The monumental building, considered a national artistic heritage since 1901, was built for Serristori family in the late XV and early XVI centuries and designed by Giuliano da Sangallo, the personal architect of Lorenzo de 'Medici, also known as the Magnificent, and was completed in 1520 making it a significant example of Renaissance architecture. Located next to the Santa Croce church, you will find yourself immersed in the historic centre of Florence. Palazzo Roselli Cecconi suites are situated in an historical building of the XV century that was the old house of the Guicciardini family. Our guests have the possibility to spend their time in Florence in those charming rooms full of history. It is strategically situated closer to the fashion streets and to the most important cultural sites as Ponte Vecchio and Uffizi Gallery. The rooms feature stylish décor and frescoes of the '600, furniture and drapery-style, air-conditioned interiors with free wi-fi, LCD television with satellite channels, mini bar, room service and elegant marble bathrooms with hair dryers, and slippers. Palazzo Roselli Cecconi has successfully passed the 100 Quality Controls established by the "Certification Protocol of Historic Houses of Excellence" and is properly certified by the ITALIAN REGISTRY OF THE HISTORIC HOUSES OF EXCELLENCE. DOWNLOAD NOW your FREE VIP Coupon before the timer reaches zero (Otherwise, you have to pay 99 euros). 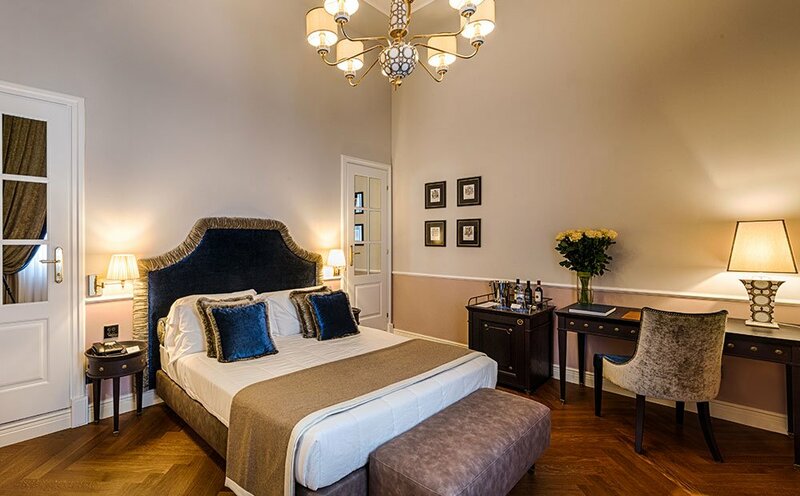 CONDITIONS - Vip Experience is reserved to clients of Residenze d’Epoca with VIP Coupon that will BOOK DIRECTLY at Palazzo Roselli Cecconi by 31/12/2019 in a superior room (NO base room). Palazzo Roselli Cecconi can guarantee Vip Experience for up to 2 guests (rooms) during the same period. Vip Experience does NOT include the costs of the stay. We have sent your FREE VIP Coupon and a detailed summary of all the privileges included in your VIP Experience. CONDIZIONI - The Vip Experience is reserved to Residenze d'Epoca clients in possession of a VIP Coupon, who will directly book a stay in a double superior room (NOT a standard room) at Palazzo Roselli Cecconi within 31/12/2019. Palazzo Roselli Cecconi will guarantee the Vip Experience to maximum two clients (rooms) in the same period. The Vip Experience doesn't include the cost of the stay. We have sent you a confirmation. We'll advice you when a "VIP Coupon - Complimentary" will be available (FREE for you, offered by Palazzo Roselli Cecconi). The phone number of Palazzo Roselli Cecconi is +39 0550749120.